It was in The Germ (1850), the first British magazine with an aesthetic manifesto, that the interart theories of the Pre-Raphaelites took shape. The thirteen young contributors advocated an ethical approach to art while at the same time acknowledging self-referentiality and meta-discoursivity. They defined the specificity of each mode of artistic expression while exploring the dynamic between word… and image, moving from realism towards Symbolism and even anticipating Surrealism. The Aesthetes and Decadents were fascinated; the Modernists felt challenged. Later in the twentieth century a succession of reappraisals transformed the Pre-Raphaelites into a well-marketed group of eccentrics, but neglected the complexity of their cross-cultural, verbal/visual art. This study aims to explain why claims about the autonomy and interrelatedness of the arts, expressed in the form of a provocative monthly journal, proved so influential as to be a source of inspiration for the Oxford and Cambridge Magazine, The Century Guild Hobby Horse, The Yellow Book, The Savoy, and even for Modernist periodicals. 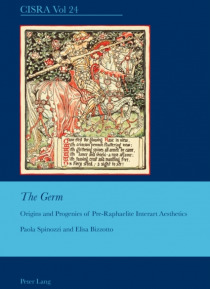 Often regarded as a juvenile venture, The Germ was in fact a laboratory for expressive forms, themes, and ideas that had an enormous impact on the history of British culture.